What Is The Pool Construction Process? Are you installing a pool in your home soon? Are you informed about what to expect from the pool construction process? If you are not, we are here to help you get informed. Read below to get started. When you first get started creating your dream pool, the professional contractor must consult you on land space, budgeting, design, and construction procedures. The contractor should ask your reasons for wanting a pool installed to better serve you. Next you will need to go over an official contract. You need a documented contract because you and the contractor need to be protected legally during and after the construction. Both you and the contractor should sign the contract. There should also be a payment schedule put in place before work is started on constructing your pool. After the contract is made, you can now discuss design with your contractor. The design stage consists of making blueprints of the pool design, which is normally a three-dimensional imagery. 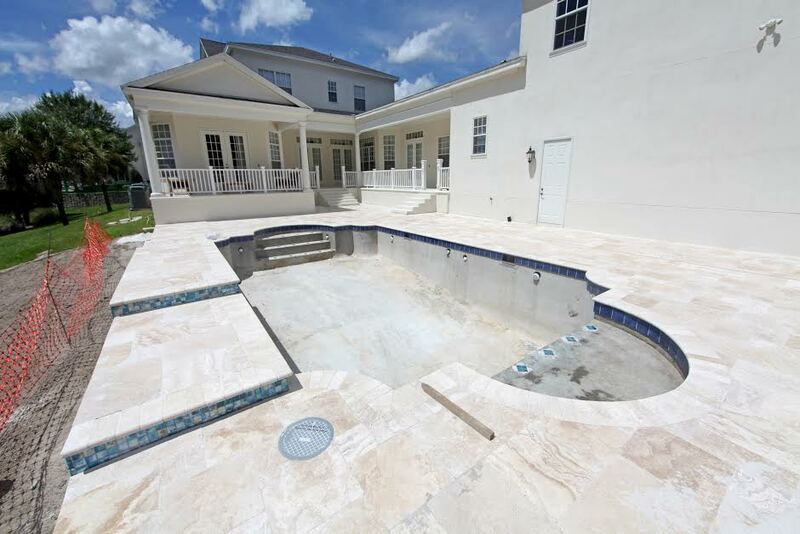 This will help you visualize how your pool will look in your backyard once construction is completed. This is the final stage where your pool goes under construction to make your backyard a place of entertainment and relaxation. The contractor should provide you details of when the project will be completed based off the estimate of labor and supplies needed. Remember, pool construction will never happen in a day. So, are you ready to install your dream pool? If you have any questions or need installments, contact Sunrise Premiere Pool Builders LLC. By calling 410-349-3852 or clicking here today! This entry was posted on Wednesday, December 11th, 2013 at 6:20 pm. Both comments and pings are currently closed.